The beautiful line of releases by Christian Tetzlaff on Ondine during the last few years have now caught the ears of the ECHO jury as well. 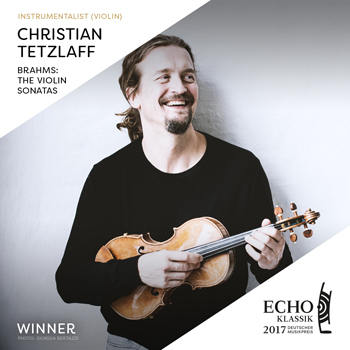 For his latest release featuring Brahms Sonatas with Lars Vogt he has been awarded the ECHO 2017 as ’Best Instrumentalist’. Congratulations!